Azerbaijan and Iran have defined directions of cooperation in the sphere of agriculture. The cooperation in the sphere of agriculture was one of the main issues during the Azerbaijan-Iran business forum held in Baku May 16. Iranian delegation led by the country's Agriculture Minister Mahmoud Hojjati included the country's officials, as well as entrepreneurs, presenting the private sector of the country's agriculture. Among the top issues discussed at the forum was joint use of agricultural lands, production of goods oriented for exportation to other countries, leasing of cultivation areas to Iranian farmers, promotion of investment opportunities, and import and export of agrarian goods. Iran is proposing Azerbaijan to start the joint production of agriculture goods and export them to other countries. Both countries are intended to take fruitful steps for the implementation of joint projects. Addressing the forums Azerbaijani agriculture minister Heydar Asadov, said that cooperation in the sphere of agriculture is of utmost importance for the two countries. "Today we discussed with the Iranian Agriculture Minister Mahmoud Hojjati the ways to develop cooperation in many directions, including animal breeding, artificial insemination, import of new strains of cattle, plant cultivation, to enhance the level of cooperation in the field of seed growing, to establish relations at the level of research institutions, to hold exchange of personnel and the results of scientific works," said the minister. Agriculture is one of the most important spheres for Azerbaijan and Iran, both countries have a great potential to boost agriculture cooperation. "In the context of such political and economic relations, the development of agricultural sector should not lag behind, but should be adequate for intensively developing political ties," Asadov added. Development of non-oil sector such as agriculture is of top priority of the both countries amid non stable situation in oil industry. The cooperation in this sphere would give a stimulus for diminishing dependence on oil sector. The countries are continuously working on the development of this sphere and ensuring the countries own food security. Asadov noted that Iran has a great experience in agricultural sector such as the use of agricultural equipment and improvement of productivity, as the country meets the needs of the population with food products. Azerbaijan can make a good use of this experience. “In this regard, the exchange of experiences in this field with the neighboring country and holding discussions on the organization of work in the agricultural sector is essential,” he said. Agricultural sector in Azerbaijan is a central direction in a bid to diversify the national economy. Azerbaijan supports the development of agriculture at the state level, implements various agricultural projects aimed at increasing volume of domestic production and expanding range of the goods and entering foreign market. The country enjoys advantageous geographic location and has great possibilities to develop agricultural industry. Iran’s most important crops are wheat, rice, other grains, sugar beets, fruits, nuts, cotton, and tobacco. Iran also produces dairy products, wool, and a large amount of timber. The country is increasingly importing food technology, including processing and packaging equipment. The agricultural sector in Iran accounts for about one-fifth of the GDP and employs one-third of the workforce. 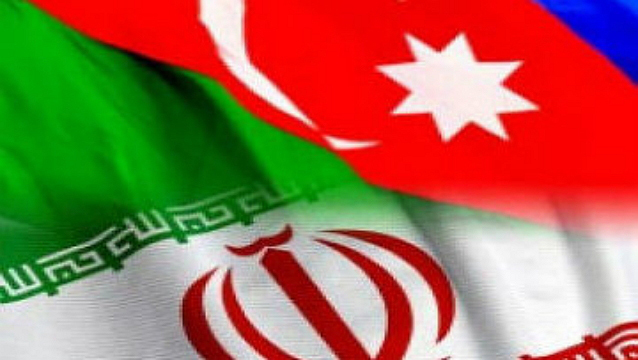 The trade turnover between Iran and Azerbaijan increased by 53 percent and totaled $41.4 million in the first quarter of 2016, as compared to the same period of 2015, according to Azerbaijan's State Customs Committee.